I needed to buy it | arlette knits. … I mean, I don’t have any yarn in quite this color. That’s reason enough to bring it home, right? 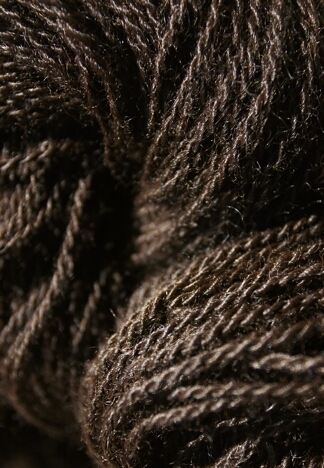 That said, this is some of the silkiest, shiniest alpaca yarn I have ever seen. It’s got bloom, sure, but it doesn’t look or feel hairy like most alpaca. It’s sleek, it’s the color of dark chocolate, and it’s beautiful.